Borealis and SYSTEMIQ, together with their partners from the Government of Norway, NOVA Chemicals, Borouge and Veolia, announce a commitment to expand Project STOP (Stop Ocean Plastics), a frontline initiative to prevent ocean plastic leakage in South-East Asia. Today’s commitment, made at the 2018 Our Ocean conference, includes initiating at least two additional city partnerships in the country and raising USD 10-15 million for technical assistance, community engagement, improved infrastructure, and other packaging recovery solutions. This commitment builds upon the progress of the first Project STOP city partnership in Muncar, East, Java, Indonesia. It will prevent more than 10,000 tonnes of plastic from leaking to the ocean over the next five years, grow local employment and provide replicable solutions and innovations for other cities. Project STOP was established in 2017 by Borealis, a leading provider of innovative solutions in the fields of polyolefins, base chemicals and fertilizers, and SYSTEMIQ, an advisory and investment firm that aims to tackle system failures. The project aims to eliminate the leakage of plastics into the environment, by developing partnerships with city governments to create effective circular systems. An estimated 80% of marine debris comes from land-based sources, with roughly 50% originating from just five Asian economies. As economic growth has increased in these countries, so has plastic consumption, which has outpaced the development of effective solid waste management systems. In Indonesia, the challenge is acute: just 60% of waste is collected by municipal waste management systems, with the rest burnt or dumped into the environment. 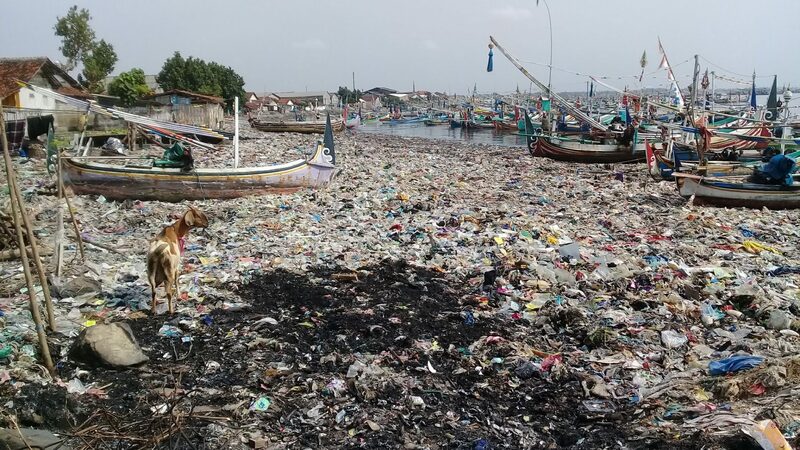 As a result, this leakage and poor waste management have contributed to reduced fishing productivity and tourism, and a negative impact on community health. In response, the Indonesian government announced an ambitious commitment to reduce Indonesia’s ocean plastic levels by 70% by 2025, creating a Marine Debris Action Plan. Delivery of its commitment relies on a rapid acceleration of waste management systems at the city level, combined with system-level level policy, innovation and circular material design approaches. Project STOP contributes to the fulfilment of this commitment.